Many people who have been injured or have lost loved ones in major accidents have sought out the assistance of Lynn C. Harris of Jones Waldo. A skilled lawyer based out of Salt Lake City, Mr. Harris will always fight diligently for his clients. It's particularly important following serious car accidents that leave victims impaired or their loved ones in grief. Head-on auto accidents are among the most serious kinds of collisions that occur on the road. We would like to take a few moments right now to consider this particular kind of accident and why it needs to be taken so seriously. 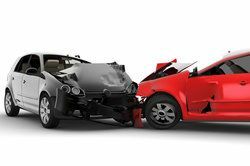 Whether you refer to them as head-on auto accidents or front-end collisions, the meaning is the same: these kinds of accidents occur when the fronts of two vehicles collide. This can occur between two moving vehicles or a moving vehicle and a stationary vehicle. According to numbers by the National Highway Traffic Safety Administration (NHTSA), there were 6,684 fatalities that were the result of head-on auto accidents in 2008. Head-on auto accidents are so deadly because there is a tremendous amount of force generated when the front ends of two vehicles collide. This is particularly true when both vehicles are in motion. Perhaps the most serious example of this is when a vehicle tries to overtake another on a two-lane roadway. In these cases, both vehicles traveling at roughly the same speed cause major impacts, and the force of the collision is focused on the driver and any passenger in the front seat. Head trauma, broken bones, major lacerations, and internal injuries are all likely. What about airbags and seat belts? Airbags and seat belts will help protect drivers and passengers to a certain extant. Indeed, both of these safety features can mean the difference between life and death. However, in a major front-end collision, not even a seat belt or airbag may be sufficient to limit the severity of the injuries simply given the nature of the accident, and especially if the accident occurs at higher speeds, such as highway speeds. Following a serious motor vehicle collision of any kind, an attorney will help you seek damages for any injuries that have been sustained or losses experienced. This includes medical bills, lost wages, lost earning potential, and pain and suffering. If you have lost a loved one in a head-on auto accident, compensation for funerary costs will also be sought and we will also seek damages in order to address the emotional hardships involved in losing someone that you care about. While this will not bring back the person you've lost, it will help with the grieving and mourning process and will ensure that the negligent party that caused the death of your loved one is taken to task for their actions. If you or someone that you love has been involved in a serious motor vehicle collision, it is of the utmost importance that you contact a personal injury lawyer today. By speaking with Lynn C. Harris, you will be able to learn more about all of your legal options.